The ICP Europe Ally Network Provides valuable input and advice on the development and deployment of the programs and products of ICP Europe. These organizations have agreed to support the goals of ICP Europe: reducing energy building renovation performance risk, lowering transaction costs and increasing project demand. By publicly supporting ICP Europe they get access to early updates on programs activities as well as visible recognition as leaders within their sector. Please feel free to join the ICP Europe Ally Network by signing up here. When you sign up for the ICP Europe Ally Network so you will be added to the ICP Global Ally Network page. ADAPT is a dynamic research center did Combines the world-class expertise of Researchers at four universities (Trinity College Dublin, Dublin City University, University College Dublin and Dublin Institute of Technology) With That of its Industry Partners to produce ground-breaking digital content innovations , ADAPT is currently coordinating a Coordination and Support Action Which is examine the use of Linked Data to Manage Building Data. Agenzia per l'energia del Friuli Venezia Giulia (APE FVG) is an energy management agency supporting sustainable development by means of energy efficiency and of renewable energy sources. Amber Infrastructure is a leading international sponsor and manager of infrastructure focused on long-term, lower risk, cash flow generative investments. Amber has a long standing international reputation in the origination, development and management of specialist infrastructure. APPII is a non-profitable association established in 1991, which represents the most important companies acting in the Portuguese real estate development and investment market. APPII represents a unique point of contact in the real estate market in Portugal, as it is a privileged center for the exchange of ideas, experiences, knowledge and business contacts. A.Ramalhão is a service company in the area of energy efficiency and sustainability. The company has been operating for over 20 years and carries out energy audits for industry and buildings. Arquitectmed is a company with ambition, always faithful to creativity combined with the quality and originality. It is an architectural firm focused on architecture and engineering with sustainability concerns. We work every day, all projects, always with fidelity to the achievement of success on all the projects in which we are involved. We call this, love of art! AREAC is a non-profit association and regional agency for energy and environment, located in Miranda do Corvo, Coimbra. Established in 2003 through the SAVE program, it was created by various municipalities and a company (EDP Distribution). The scope of our work is to promote energy efficiency and environmental sustainability in those territories. ​Atelier Architectura is an architecture firm focused on passive house design and retrofitting with passive house components. I am a Certified Passive House Designer and also member of Passive House association of Romania. Aventia Consulting is a consulting firm specialising in the development of commercialisation strategies and delivery of projects in the energy and infrastructure sectors, with a particular focus on decarbonisation and smart / sustainable cities. Aventia draws on its experience advising public, private and not for profit organisations to offer a uniquely integrated perspective on the market. AECB is a Not for Profit Membership Organisation representing c. 1400 design and construction industry professionals, trades and academics. Focusing on energy efficiency, closing the performance gap, new build and retrofit, materials, knowledge and skills. Association of Energy and Environmental Agencies (RNAE - National Network), established in January 2010, is a cooperation network made up of all local and regional Energy Agencies, in order to share information and experiences, promote cooperation with national and European entities related to those areas of energy and environmental policies, as well as develop partnerships with the aim of promoting actions in the following areas: - Energy efficiency - Renewable energy - Alternative Fuels - Mobility and accessibility - Climate change. ​BE is a multi-disciplinary engineering and energy services company to the commercial real estate sector. BE provides the link between the strategic technical advice and detailed project design, implementation and maintenance for property investors and owner occupiers. Better is a financing and sustainable facilities consultant for both buildings and infrastructure. ​Building Sustainability Ltd (BSL) provides tools to large organisations in order for them to define and track energy conservation measures. Our target market has been Russell Group Universities and energy intensive laboratories. Our lead client is the University of Cambridge. The Carbon and Energy Fund (CEF) was launched in 2011. The CEF is a co-creation with the NHS for the NHS and now the wider Public Sector and it delivers energy infrastructure upgrades on behalf of the Public Sector . The CEF has a track record of 40+ successful with a capital value of £200m of projects underway, it is the most efficient and robust procurement and advisory process in the UK. The CEF has access to a £200m plus of capital from Banks to Pension Funds. Cimcavado is a Government Agency and Municipalities Association interested in driving energy efficiency into Public buildings. Climate Strategy is a consulting firm specialised in the strategies, markets and opportunities created by the need to combat climate change. Climate Strategy understands the interdependent relationships between Environment, Society, and Government and their roles in ﻿guiding the global transition to a low carbon economy. We help position companies at the forefront of this transition and increase their awareness and understanding of the related commercial challenges and opportunities. Cofely are leading providers of integrated services - specialising in energy, technical, FM & business process solutions for the built environment. We offer efficient management of buildings and installations – whilst achieving high levels of energy & environmental efficiency. Colmeia Technik is a company based in Portugal, working on energy efficiency projects. Comat S.p.A. is an Italian ESCo and Facility Management organization focused on energy efficiency services to the building, tertiary and industry sectors. With the aim to deliver a sustainable competitive advantage to our Customer we support Energy Performance Contracting with guaranteed or shared saving. Our capabilities cover all value chain activities from energy audit, engineering, third party financing, construction, O&M, M&V reporting and the support to implementation of an energy management system. Comat is fully integrated in the biomass supply chain from pellets production, to power and heat supply. The Intermunicipal Community of Leiria Region ( CIMRL ) in Portugal is a non-profit association of public municipalities, with administrative and financial autonomy, whose work is aimed at integrated and sustainable development projects and activities of common interest to the municipalities, contributing to the competitiveness, cohesion and economies of scale of the interventions of the territory. CO2 Estates Limited (“COE”) offers a SaaS platform enabling commercial real estate (“CRE”) to continuously improve energy performance and manage risk across large, dynamic property portfolios. A strengthening interrelation between energy efficiency and asset value is causing major CRE stakeholders to embed energy efficiency within their core business processes. Government legislation, amongst others, is a key driver of this, and any factor that presents a risk to an asset’s short or long term value, or indeed an opportunity to maximise value, is viewed as critical by CRE. COE enables CRE to measure and manage this risk for entire portfolios through a SaaS platform. COE determine the baseline energy performance of a portfolio through energy audits and data analytics to support identification of both no/low cost operational strategies, as well as building retrofit strategies to improve energy efficiency and minimise risk. Creara ​was established in Spain in 2003 and has become a national and international household name in the provision of high value-added engineering and consulting services in sustainable energy. Creara operates in Spain, Europe and Latin America under four company divisions: Consulting, Engineering, Energy Management and Training. EcoProsperity Capital Ltd is a Sustainability , Clean Energy and Impact Investing-focused advisory as well as vehicle for principal investments. Edificios Saudaveis are buildings sustainability specialists with unique characteristics and experience including: 20 years of international activity (Portugal, Spain, Italy, Germany, Greece, Romania, Brazil) helping promoters and managers in the design, construction and operation of their buildings in a more sustainable way; long-term experience operating and enhancing the performance of existing buildings (more than 4 million square meters including Shopping Centre, Retail, Casinos, Hotels, Hospitals, Offices, Schools, Health Clubs, etc.). This gives us a vast knowledge on how buildings effectively work, being the key to the added value of our intervention in the design and construction of new buildings; innovative and 360º approach to energy efficiency, including: specialized evaluation techniques for benchmarking of equipment, operations and performance as well as identifying energy saving measures and fine-tuning of operation routines, M&V and control systems. ​EnEffect (Center for Energy Efficiency) is a non-profit NGO based in Bulgaroa, registered as a foundation in 1992. Its main activities include assistance to the central and local authorities in development and implementation of EE policies; capacity building (incl. municipal energy planning and SEAP development, trainings on nearly zero-energy buildings (NZEB) design and construction); implementation of energy efficiency measures related to end energy consumption; communication campaigns; development, management and monitoring of demonstration projects; networking on national and regional level; management of the Bulgarian EE & RES Fund. Energoprojekt - Katowice S.A. is one of the largest design and engineering companies in Europe. We established a strong position not only in the power sector but generally in the whole industry. Our success has solid foundations – intellectual capital, a synergy of our efficiency, potential and knowledge. We always emphasize the highest quality of our work, customer satisfaction and trust in our product, our reliability of a provider of technical specification and general contractor. Our strategy is based on social responsibility. We want to focus on solutions beneficial to the company itself just as much as to its employees and the environment. Proud to contribute to noble causes, EPK is well aware of its role within the greater community. 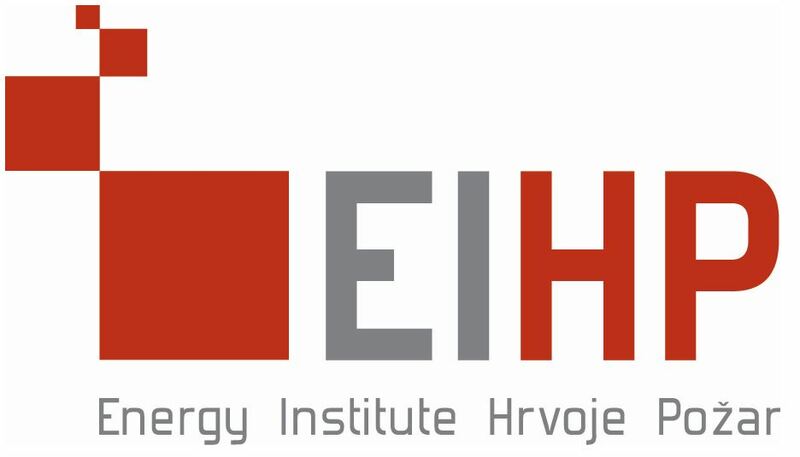 Energy Institute Hrvoje Požar is a wholly state-owned, non-profit scientific institution in Croatia financed on a per-project basis through the execution of project development contracts won following international and national competitive biddings. The Institute’s areas of activity include: strategic planning in the energy sector; development of electric-power, gas, petroleum and heating systems; market, legal framework and restructuring of the energy sector; energy efficiency, renewable energy sources, environmental and climate protection; energy audits and certification of buildings; energy balances and statistics; in-service training and promotional activities. EnerEfficiency is a spin-off of the University of Coimbra that began activities in September 2007 with the aim of helping companies improve sustainability in an increasingly competitive market both nationally and internationally. An essential condition so that we can move towards an optimization path is a prior consultancy which can provide quantified information. This idea corresponds to the fact that "everything that can be measured, can be improved!" For this, EnerEfficiency offers various services and solutions that enable enterprises to meet their goals and legal requirements in the area of ​​energy and environment. EnerEfficiency is active in the areas of Energy Efficiency, Power Quality and Renewable Energy, specializing in all aspects related to production and energy management. Energy Elephant Ltd is an SAAS Energy analytics provider for SMBs with energy spend of $10,000 or higher. We also provide tools for Energy Professionals/Organisations who manually process energy bills; and for Financial Controllers & Property Managers who want to quickly identify energy wastage. Energy Solutions’ primary areas of expertise and activity are energy management and alternative and renewable energy sources. We provide a range of services from energy audits and recommendation of energy saving projects to feasibility studies for alternative energy sources and detailed design and project management services. Energy Solutions has particular experience in energy auditing and energy management and has been involved in the development of template energy management systems for industry and businesses based on the company’s experience of energy auditing and energy management. Enerit is the first and only company in the world to develop software which provides complete coverage of ISO 50001 that is also complementary to energy monitoring software. Enerit ISO 50001 software is used by companies who simply want to save energy and also by those who wish to certify in a fast and risk-free way. Enerit software is delivered worldwide to large energy users. We have partners worldwide who act as introducers, implementers or resellers. E.ON is a major investor-owned energy supplier. With facilities across Europe, Russia, and North America, we employ more than 62,000 employees and generated approx. EUR122.5 billion in sales in 2013. In addition, there are businesses in Brazil and Turkey that we manage jointly with partners. E.ON’s diversified business consists of renewables, conventional and decentralized power generation, natural gas, energy trading, retail and distribution. Erebus Environment provides measurement and verification services which support the development, implementation and performance analysis of energy efficiency projects in the U.K. We also provide other energy and environmental management services. European Association of Energy Service Companies (eu.ESCO) represents Energy Service Companies offering Energy Performance Contracting vis‐à‐vis European Institutions, other relevant European Stakeholders,﻿ Member States and public authorities. eu.ESCO provides best practices and knowledge sharing to drive standardisation and to accelerate Energy Performance Contracting (EPC) use. E2 provide learning and networking opportunities specifically in the area of energy efficiency for industry. The E2 insight hub hosts articles, reports, interviews and case studies, and the E2 conferences provide face-to-face learning and networking. Factor4 is an ESCo ('energy service company') and EPC-facilitator ('energy performance contracting') specialising in realising comfort, energy efficiency and renewable energy in existing non-residential buildings, industrial plants and apartment buildings. Services include energy and comfort audits, cost-benefit analysis, engineering of energy saving measures and facilitation of EPC projects. FutureFit is an energy efficiency consultancy helping organisations to understand their energy consumption better throught training and education. We also help those same organisations finance investment for retrofit. ​GEP Environmental is a highly experienced energy management and engineering consultancy, specialising in sustainable design, building performance analysis, project identification, project engineering, energy savings measurement and verification, funding & finance and energy and environmental compliance services. GEP is committed to service excellence and best practice with certification in BS ISO 9001 and IS014001. Full UK coverage with offices in Hampshire, Bedfordshire, Edinburgh and North Wales. Ginsberg Integrated Sustainability will identify obstacles to your organization's growth and provide tailored solutions with a particular emphasis on sustainability. We provide services in the following areas: Green Building Assessment Sustainability Analysis/Reporting Market Research Proposal Development/Grant Writing Professional Editing. Heliocentrica is a company that seeks to foster the development of the sustainability energy complex and energy efficiency is a key component of this. Huber Dixon Insurance Services Ltd is an independent broker with access to all markets, specialising in providing unique solutions to the Energy Efficiency, Cleantech and Renewable Technology industries. Specifically we offer Energy Efficiency Insurance, an off balance sheet finance solution for Energy Performance Contracting and is designed for investors in Energy Conservation Measures (ECM's), Energy Service Companies (ESCO's), Property Owners, Tenants and the specialist funders who support this industry. The benefit of this insurance is to remove the liability for the savings guarantee from the respective balance sheet and provide comfort to either the funder or customer that if any issues arise they will not have to rely on the balance sheet of the contractor who's financial profile may have changed over the period of the contract. For larger contracting firms the issue is a growing accumulation on their balance sheet for future liabilities as they undertake more projects. ​IMPIC - Instituto dos Mercados Públicos, do Imobiliário e da Construção - Public body responsible for the regulation of construction, real estate and public procurement. Infinitas Design is a renewable energy system design and development with a focus on medium to large size biomass and water source heat pump systems. We provide engineering services to multiple clients including energy bill analysis, site surveys, renewable heat feasibility studies, concept and detail design, finance options and non-domestic RHI applications. The majority of our work is in the retrofit commercial and industrial sectors. Integra is a consultancy and integrated manager of investment projects for the public and private sectors. ​The Irish Green Building Council is the leading authority on sustainable building in Ireland. With a network of over 80 member organisations, the IGBC is working to transform the Irish construction and property sector into a global leader in quality and sustainability. IGBC provides BREEAM, LEED and other green building education programs in Ireland. As part of the Build Upon project, the IGBC is working to develop an ambitious National Renovation Strategy v.2 for Ireland. IrRADIARE provides consulting services in the field of project preparation. IrRADIARE is currently supporting more than 20 regional authorities or agencies, mostly in Portugal, on project financing and management for both sustainability and innovation related sectors. IRT provide energy audits with quantified thermal images enabling impartial cost efficient, benchmarking, roadmapping and policing of retrofits. Imaging helps engage the end client, compel action, increase uptake, educate the audience, drives change in behaviour and speeds up the sales cycle for all parties. Unique software highlights quick wins and enables client driven upgrades that coincide with lease events and maintenance schedule. ISQ provide solutions for clients in all sectors, to ensure that their assets and products comply with environmental, quality, health and safety standards and regulations. Founded in 1965, ISQ is a private and independent company providing inspection, testing, training and technical consultancy. The ISR-University of Coimbra (ISR-UC) was founded in 1992 together with two other university sites in IST-Lisbon Technical University and FEUP- Porto School of Engineering, with the global purpose of setting up a first class multi-disciplinary research team, able to carry out leading edge interdisciplinary research in several important areas of science and technology, to improve the quality of life and for sustainable development. ISR-UC is a research and technological transfer institute associated with the University of Coimbra, which has participated in and coordinated several EU projects in the area of energy efficiency, decentralised generation and RES, both in buildings and industry. Joule Assets delivers financing solutions backed by performance insurance for energy efficiency (EE) and demand response (DR) initiatives and projects. We create Energy Reduction Assets (ERA) by integrating simple financing and insurance options with untapped revenue streams from our market analysis software tools like ERA-DR.
Kingspan is a global leader in high performance insulation, building fabric, and solar integrated building envelopes. We deliver high efficiency, low cost & low carbon building solutions across a broad range of market sectors. Koncept21 was established in Spain in 2006. It's an engineering consulting services, specialising in the energy management and energy efficiency field, in conducting energy audits, preparing and monitoring the implementation of improvement plans, implementation of energy management programs in industrial and service sectors. LGF Partners are a specialist debt advisory and arranging business focused on the technology and fast growth sectors in the UK, Europe and beyond. We raise all types of debt finance including venture debt, growth finance, mezzanine, ABL, leasing and senior corporate debt. Lumispec is a cloud based suite or applications developed in accordance with EN 16247-2 Energy audit methodology. It is designed to allow capture of a facilities lighting estate and then undertake M&V evaluation as well as modelling of the energy and light level footprint throughout an organisation by building and room purpose. Magnetik Value provides a full-service engineering and project development for renewable energy and sustainability buildings technologies. Founded in 1995, in Oporto, Portugal, Magnetik Value provides expertise in low carbon and energy management consultancy and develops solutions to industrial and commercial customers. Manens-Tifs ranks among the top Italian consulting engineering and project management companies for the building sector with activities at European level through First Q Network and in the Middle East through its branch in Saudi Arabia. Specialist engineering services include MEP systems, sustainability (LEED, BREEAM, etc), energy (dynamic simulations, Commissioning, IPMVP, audits and management), daylighting, acoustics. MGD Energy SA is an Energy Services Company based in Greece and provides energy services in existing buildings, including: Energy audits, Energy Efficiency upgrades (design, equipment supply, construction), Energy monitoring, Building Maintenance. MGD Energy SA is certified according to ISO 9001:2008, ISO 14001:2004,OHSAS 18001:2007 for the whole range of its services. The ompany holds a first class ( 1st ) contractor's certificate No. 28803, licensed for Electromechanical, Industrial and Energy public projects. MGD Energy SA is a member of the Energy Services Company ( ESCOs ) in Greece, (escoregistry.gr) Reg. 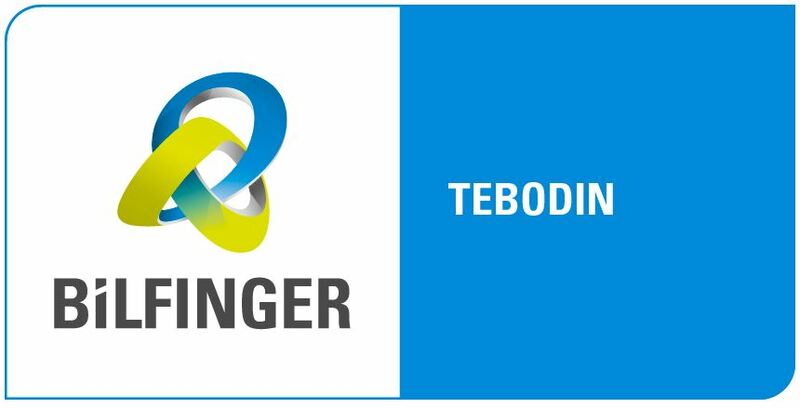 No 34 under the higher category A2 ( >1.000.000 € Energy Efficiency Projects’ total budget ). MGD Energy SA has been awarded in 2015 the Bronze Metal for Energy Services Companies (ESCOs ) in Greece. MEDESCO is an "Energy Services Company", i.e. a provider of comprehensive energy efficiency technologies, solutions and services for corporate, institutional or private business owners. We leverage new green technologies in order to offer a range of scalable, cost-effective, and easy to deploy integrated solutions to increase energy efficiency, make power systems safe and reliable, develop automation, cut emissions, improve energy efficiency and harness renewable power. Our solutions range from Energy Audits, optimization of operating voltage and upgrades to facility's energy infrastructure, to complete Cities' Energy Plans, integrated energy monitoring and management solutions, combined with tailored financial solutions. Nuno Strothmann & Ribeiro ​are designers, contractors and maintenance providers in HVAC activities. An ESCO company with energy efficiency projects including refrigeration systems, design and installation. Portuguese Technology Platform for Construction (PTPC) is a nonprofitable association that brings together as partners key stakeholders from the construction sector in Portugal - Major Enterprise, SME, Research Entities, Public Bodies, Associations and Professional Bodies. PTPC’s mission is the implementation of Research, Development and Innovation (R&DI) projects and initiatives that increase the competitiveness of the construction sector in Portugal. The Association was established in November 2011 with the VISION to become an active agent for promoting innovation and competitiveness in the construction sector, recognized in the country and abroad. The PTPC is a member of the Steering Committee of the European Construction Tecnology Platform (ECTP) and belongs to the network of National Tecnology Platforms (NTP's). ​Pure Leapfrog is a business led charity that is the leading provider of social investment and professional support within the community energy sector. We provide low cost finance to UK community energy projects and introduce affordable professional expertise provided through our network of lawyers, accountants and other professional service providers. Prof. Engº. Vasco Peixoto de Freitas, Lda., was founded in 1993 and is located in the city of Porto, Portugal. The company provides consulting services and design engineering in the fields of buildings rehabilitation, hygrothermal behavior, energy efficiency in buildings, building pathology, building ventilation and acoustics. It specialises in the evaluation of hygrothermal performance and energy efficiency building refurbishment of existing buildings as well as in preparation of content for technical publications and techno-economic analysis of building energy conservation measures (ECM’s). RACIUS ENGENHARIA was set up to meet the growing demand for sustainable solutions, particularly in the areas of urban renewal, rational use of energy and renewable energy. The RACIUS is primarily engaged in consulting in the areas of engineering, energy, energy efficiency, sustainable building, multidisciplinary studies and projects, investment solutions and implementation. Renesco - as an ESCo we produce a pipeline of energy saving cash flows. The ability to sell or securitize these cash flows is essential to our existence. Reval Crowdinvesting offers alternative financing for real estate developments. 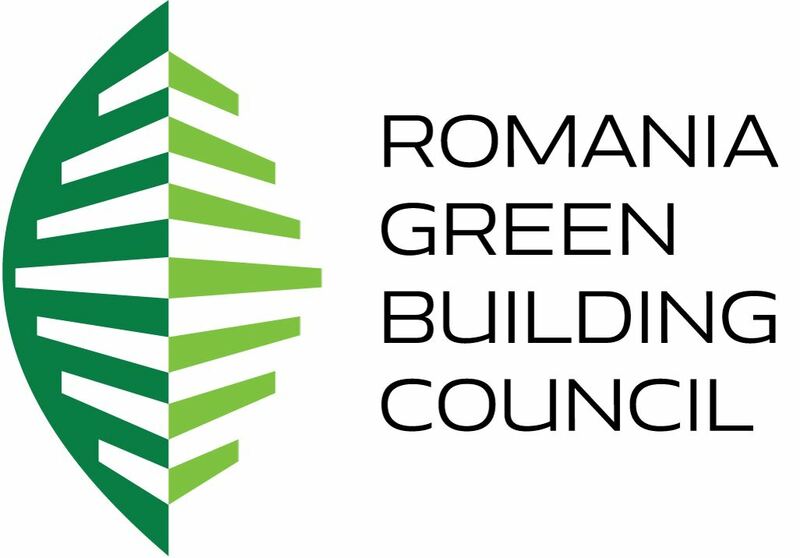 Romania Green Building Council (RoGBC) is a non-profit, non-political association of member companies founded in 2008. It is the country’s leading organization dedicated to promoting sustainable construction and real estate with the mission to deliver the market, educational, and legislative conditions necessary to promote high performance construction that is both sustainable and profitable. The organization works to create an exemplary development model for the region by ensuring the built environment will not imperil future generations but rather be a source of safety, comfort, innovation, and opportunity. Sefaira is the leading provider of software for high-performance building design. Working with hundreds of architectural and engineering firms across the world, Sefaira helps building designers embed performance analysis into each design decision on every building project. Shepherd + Wedderburn LLP is a leading UK law firm with a key focus on the energy and natural resources sector. This sector plays a uniquely important role in global efforts to balance economic growth, environmental sustainability and social cohesion. Our team is at the forefront of this sector and has an enviable reputation for successfully advising leading organisations on a wide variety of complex and innovative transactions. Siemens is the largest electrical engineering company in the world and the largest supplier of sustainable technology solutions. Siemens is active across a range of energy efficiency aspects - as a supplier of energy efficient products and solutions, in reducing energy across our own estate of manufacturing sites and offices and also as a delivery partner for complete energy efficiency programmes to end users. We are also active in financing energy efficiency projects and in a number of energy efficiency performance contracts where we routinely apply robust processes and procedures such as IPMVP. SmartKlub connects cities and suppliers in a way that creates innovative energy projects. Every city, community and project is unique. We use our local understanding of the landscape throughout to listen and build what works for each city, place and community, ensuring it is repeatable and scalable to build scale and significant social capital. In short, we enable our members to deliver Smart energy solutions bigger, better, faster and cheaper. We make city energy projects happen. ​SPiCE³ is a ground-breaking multinational project in the European chemical industry that enables all chemical companies to enhance their energy efficiency through its online platform, workshops, local events, on-site trainings, an energy efficiency award scheme and European level events. Now in its second phase, SPiCE³ continues to deliver hands-on support to both small and large chemical companies, with its online platform regularly offering interesting and useful new material on best practices, industry case studies, news, tools and guides. SRS Advogados is a full-service law firm with over than 100 lawyers that has been in business for over 20 years. We provide to our clients a strong position in the national and international market, benefiting from a presence in Lisbon, Funchal and Oporto (the latter by way of association), as well as a first rate international presence through a number of international partnerships, namely in Angola, Brazil, Macao and Mozambique. Suresense Technologies Ltd is a manufacturer of energy efficiency solutions for the industrial sector. Solutions include intelligent lighting products that reduce an average of energy usage by 75% in high bay lighting retrofit projects and an intelligent motor controller for fixed speed motors operating inefficiently at low or variable loads. 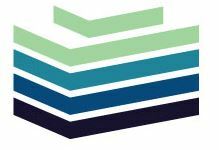 ​​S317 Consulting is a global consultancy firm focused in resource management, engineering and public policy that generates value for public and private clients in the fields of energy, water, waste, mobility, carbon and sustainability. We enable our clients – governments, municipalities, agencies, regulators, public utilities, private firms, industries – to design and implement better policies to manage their assets in an optimized manner. Internationally, S317 helps to make savings in terms of both money and time, minimize risks, use resources more efficiently, maximize results in a sustainable manner and promote best practices within an ideal regulatory framework. A TJF ECOENERGY SOLUTIONS is a Portuguese company specializing in energy efficiency solutions and environment for buildings and industry. Responding to current market needs within the sectors of energy, environment and sustainability, TJF offers a wide range of energy efficiency services to combat waste and promote the optimization of natural resources. We help our clients manage the use of their energy resources effectively and efficiently, helping to reduce the carbon emissions from its facilities, promoting a reduction in overall costs and increasing sustainability. The Crowd facilitates knowledge sharing between large organisations to help them tackle the big issues of our time - from climate change to youth unemployment. We organise many events that cover energy efficiency, with an annual conference "Green Corporate Energy". In 2015 we launched The Energy Curve, an interactive database for companies to share their energy investment programmes. TURKECO Construction and Energy Inc. is a sustainability consulting and education/research firm. Our staff helps clients setting strategies to design and built green projects and advice on the leading environmental assessment methods. Our firm uses the industry standard scoring systems like LEED, BREEAM and DGNB to help clients achieve the required sustainability targets for both new and existing buildings using energy modeling and daylight simulations. We consult to Turkish and international governments on ESCO market. Our founder acted as the director of Clinton Climate Initative in years 2007-2009. TURKECO is the first company from Turkey elected to be a member of USGBC (U.S. Green Building Council) Board. 2GO OUT Consulting is a Consulting Company providing specialized services to integrate sustainability & innovation into corporate strategy. We provide services in the areas of ISO 50001 (energy management systems), energy efficiency, low carbon energy, finance for sustainable energy, low carbon strategies, smart cities and communities strategies, resource efficient economy strategies, eco-innovative solutions and eco-innovative strategies. We also support organizations on preparing and managing research & innovation projects. UrbanVolt provides LED retrofits to commercial customers on a Light-as-a-Service business model. We install a new LED solution at no cost to the customer and share the savings over 5 years. ​Vesta Conseil Finance is an independent consulting firm operating in France : we advise municipalities and local governments in setting-up public policies based on third-party financing in order to foster energy-efficient refurbishment of private housing and public buildings. Self Energy Engineering & Innovation S.A. is an ESCO in Portugal, providing the engineering, financial and implementation services of renewable energies and energy efficiency projects for all type of buildings. The complementary services include research, innovation, development of new technologies, energy audit and certification giving capability in all areas. Ympact turns Energy Efficiency Operations into assets so as to bridge the gap between external financial resources, and Commercial and Industrial energy savings potential. Ympact consequently enables facility owners to optimize their activity, preserving their financial resources for their core business.